The Writers' Forum staff work from home in various parts of the country. This means email is the quickest way to reach the correct person. The publisher, Select, is based in Bournemouth and post and phone messages will be forwarded. 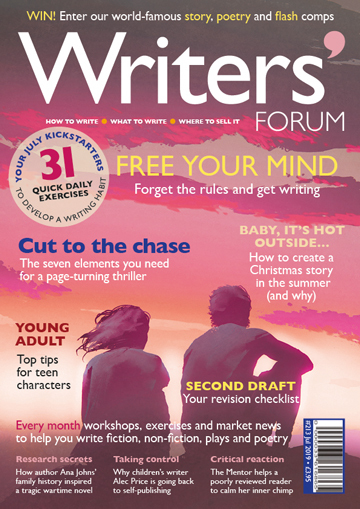 Please note that Writers' Forum does not carry book reviews, but we do publish news of any books that may be helpful to writers.